All Pages Copyright © 2017 , Torahreaders.net. All Rights Reserved. This web site (“Site”) is owned and operated by MLN Communications LLC. The Site and its contents may only be accessed for personal use. No material from Torahreaders.net or any web site owned, operated, licensed or controlled by Torahreaders.net may be used for any commercial or resale purposes. Furthermore, no materials may be copied, reproduced, republished, uploaded, posted, transmitted, or distributed in any way, except that you may download one copy of the materials on any single computer for your personal, non-commercial use only, provided you keep intact all copyright and other proprietary notices. Modification of the materials or use of the materials for any other purpose is a violation of Torahreaders.net's copyright and other proprietary rights. For purposes of this Agreement, the use of any such material on any other web site or networked computer environment is prohibited. All trademarks, service marks, and trade names (collectively, the “Marks”) are proprietary to Torahreaders.net or other respective owners which have granted Torahreaders.net the right and license to use such Marks. Any use of content or descriptions; any derivative use of this Site or its contents; and any use of data mining, robots, or similar data gathering and extraction tools is strictly prohibited. In no event shall the user frame any portion of the Site or any content contained therein. While Torahreaders.net uses reasonable efforts to include accurate and up-to-date information on the Site, Torahreaders.net makes no warranties or representations as to its accuracy. Torahreaders.net assumes no liability or responsibility for any errors or representations in the content of this Site. Torahreaders.net has no control over, and shall have no liability for, any damages resulting from, the use (including without limitation republication) or misuse by any third party of information voluntarily or involuntarily made public through the Site. If you choose to provide any of your personally identifiable information, you do so at your own risk; so be careful about what information you provide. 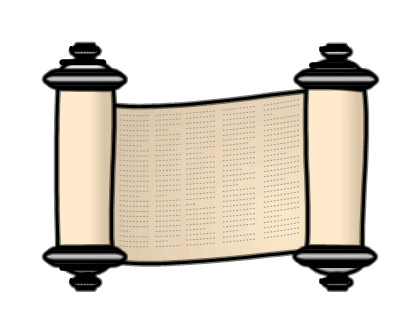 The Site allows the arrangement of torah readings schedules for select temples and religous institutions. Torahreaders.net does not supervise these scheduled activities and is not involved in any way with the actions of any individuals at these activities. Therefore, Torahreaders.net has no control over the identity or actions of the individuals who are present at these activities. You acknowledge and agree that your participation in any event(s) scheduled using the Site or in any other way connected with the Site is fully at your own discretion and Torahreaders.net does not endorse or sponsor any such event(s). You further acknowledge and agree that any activity you participate in during the event(s) shall be purely voluntary and conducted at your own choice. You hereby assume all risks associated with any activities, including all risks of personal injury or property damage to yourself or others. YOU DO HEREBY REMISE, RELEASE, ACQUIT AND FOREVER DISCHARGE Torahreaders.net, ITS SUCCESSORS, ASSIGNS, SHAREHOLDERS, OFFICERS, DIRECTORS, AND AFFILIATES (“RELEASED PARTIES”) OF AND FROM ANY AND ALL LIABILITIES, CLAIMS, REMEDIES, DEMANDS, SUITS OR CAUSES OF ACTION OF WHATSOEVER KIND OR CHARACTER, IN WHOLE OR IN PART, WHETHER CHOATE OR INCHOATE, WHICH YOU MAY EVER HAVE AGAINST THE RELEASED PARTIES THAT IN ANY WAY DIRECTLY OR INDIRECTLY RELATE TO, RESULT FROM, ARE BASED UPON, OR ARISE OUT OF THE EVENT(S) OR IN ANY WAY CONNECTED WITH THE SITE EITHER ONLINE OR OFFLINE. The Site may contain links to other sites on the Internet which are owned and operated by Third Party Vendors and other third parties (the “External Sites”). You acknowledge that Torahreaders.net is not responsible for the availability of, or the content located on or through, any External Sites. You should contact the site administrator or webmaster for those External Sites if you have any concerns regarding such links or the content located on such External Sites. Users of the Site may post comments, reviews, and other content and submit suggestions, ideas, or other information, provided the content does not contain any unlawful, harmful, threatening, abusive, harassing, defamatory, vulgar, obscene, or hateful content or content which is racially, ethnically or otherwise objectionable, or content which infringes upon the rights of any third party. The user agrees not to impersonate any person and/or other entity or communicate under a false name or a name the user is not entitled or authorized to use. Torahreaders.net has the right (but not the obligation) to remove, prohibit, edit or discontinue any content on the Site, including content that has been posted by users. If you post content or submit material you grant Torahreaders.net and its affiliates a perpetual, irrevocable, worldwide, royalty-free, non-exclusive, sublicensable right and license to make, use, sell, sublicense, reproduce, distribute, perform, display, prepare derivative works from and otherwise exploit all such content and material as if it were the full owner thereof. Furthermore, you grant Torahreaders.net, its affiliates, and sublicensees the right to use your name and/or user name in connection with the content. You represent and warrant that all content and materials you provide shall be your original work product and will not be based on, or derived from, the proprietary information or items of a third party. You will defend and indemnify Torahreaders.net and its affiliates from any claims resulting from any content or materials you provide hereunder. The Site contains areas in which additional terms and conditions apply. For purposes of the use of such areas, in the event of a conflict between the terms and conditions of such other areas and these Terms and Conditions, the terms and conditions of the other area shall prevail. Torahreaders.net may at any time revise these Terms and Conditions by updating this posting. You are bound by any such revisions and should therefore periodically visit this page to review the current Terms and Conditions to which you are bound. You shall not transmit to Torahreaders.net or upload to this Site any Harmful Code or use or misappropriate the data on this Site for your own commercial gain. “Harmful Code” shall mean any software (sometimes referred to as “viruses,” “worms,” “trojan horses,” “time bombs,” “time locks,” “drop dead devices,” “traps,” “access codes,” “cancelbots” or “trap door devices”) that: (a) is intentionally designed to damage, disrupt, disable, harm, impair, interfere with, intercept, expropriate or otherwise impede in any manner, any data, storage media, program, system, equipment or communication, based on any event, including for example but not limited to (i) exceeding a number of copies, (ii) exceeding a number of users, (iii) passage of a period of time, (iv) advancement to a particular date or other numeral, or (v) use of a certain feature; or (b) would enable an unauthorized person to cause such result; or (c) would enable an unauthorized person to access another person's information without such other person's knowledge and permission. Never send spam or any other unauthorized email. Never harass, threaten or cause distress, unwanted attention or discomfort to a person or entity. Not contain or transmit sexually explicit images or other content that is offensive. Not contain or transmit any unlawful, harmful, threatening, abusive, harassing, defamatory, vulgar, obscene, or hateful content or content which is racially, ethnically or otherwise objectionable, or which infringes upon the rights of any third party. Not impersonate any person or communicate under a false name or a name not entitled or authorized to use. Not violate (intentionally or unintentionally) any applicable local, state, national or international law, including but not limited to any regulations having the force of law.Password. You may not use your password for any unauthorized purpose. involve gambling, gaming and/or any other activity with an entry fee and a prize, including, but not limited to casino games, sports betting, horse or greyhound racing, lottery tickets, other ventures that facilitate gambling, games of skill (whether or not it is legally defined as a lottery) and sweepstakes unless the operator has obtained prior approval from Torahreaders.net and the operator and customers are located exclusively in jurisdictions where such activities are permitted by law. Service: This web site, Torahreaders.net. Torahreaders.net processes payment transactions through 3rd-party payment solutions such as WePay and is not a chartered banking entity. All funds that are not part of a fee paid to Torahreaders.net are paid directly to 3rd-party payment solutions. You will not hold Torahreaders.net liable or responsible for any funds or tax obligations on those funds paid to 3rd-party payment solutions. Contributors, Donors and Users agree not to involve Torahreaders.net in any litigation that occurs due to using the website Torahreaders.net. Torahreaders.net will not be held liable for any loss or damage due to failure to comply to the terms of this agreement. U.S. Government Users Restricted Rights. Use, duplication, or disclosure by the Government is subject to restrictions as set forth in applicable laws and regulations. Use of the materials by the Government constitutes acknowledgment of Torahreaders.net's proprietary rights in them. Torahreaders.net web site pages may contain other proprietary notices and copyright information which should be observed. THE MATERIALS ON THIS SITE ARE PROVIDED “AS IS” WITHOUT WARRANTIES OF ANY KIND EITHER EXPRESS OR IMPLIED. TORAHREADERS.NET SHALL HAVE NO RESPONSIBILITY OR LIABILITY FOR ANY CONTENT OR MATERIALS POSTED ON THE SITE. TO THE FULLEST EXTENT POSSIBLE PURSUANT TO THE APPLICABLE LAW, TORAHREADERS.NET DISCLAIMS ALL WARRANTIES, EXPRESSED OR IMPLIED, INCLUDING, BUT NOT LIMITED TO, IMPLIED WARRANTIES OF MERCHANTABILITY, FITNESS FOR A PARTICULAR PURPOSE, NON-INFRINGEMENT OR OTHER VIOLATION OF RIGHTS. UNDER NO CIRCUMSTANCES, INCLUDING, BUT NOT LIMITED TO, NEGLIGENCE, SHALL VOLUNTEERSPOT OR ITS THIRD PARTY LICENSORS BE LIABLE FOR ANY DIRECT, INDIRECT, SPECIAL, INCIDENTAL OR CONSEQUENTIAL DAMAGES, INCLUDING, BUT NOT LIMITED TO, LOSS OF DATA OR PROFIT, ARISING OUT OF THE USE, OR THE INABILITY TO USE, THE MATERIALS ON THIS SITE, EVEN IF TORAHREADERS.NET OR AN TORAHREADERS.NET AUTHORIZED REPRESENTATIVE HAS BEEN ADVISED OF THE POSSIBILITY OF SUCH DAMAGES. IF YOUR USE OF MATERIALS FROM THIS SITE RESULTS IN THE NEED FOR SERVICING, REPAIR OR CORRECTION OF EQUIPMENT OR DATA, YOU ASSUME ANY COSTS THEREOF. SOME STATES DO NOT ALLOW THE EXCLUSION OR LIMITATION OF INCIDENTAL OR CONSEQUENTIAL DAMAGES, SO THE ABOVE LIMITATION OR EXCLUSION MAY NOT APPLY TO YOU.